John M. Stark was elected Commander-in-Chief of the Sons of Union Veterans of the Civil War at the 93rd National Encampment held in Bretton Woods, New Hampshire, August 18 - 22, 1974. Brother Stark's great-grandfather, John M. Beck, served in Company K., 52nd New York Volunteers from October 5, 1861 to the expiration of his enlistment on October 4, 1864. Brother Stark in 1956 became a member of Gettysburg Camp #112, Gettysburg, Pennsylvania. He served two consecutive years as Camp Commander; Department Commander of Pennsylvania in 1963; and Junior Vice Commander-in-Chief in 1965. He has also served on many National committees. Commander-in-Chief Stark holds the rank of Colonel in the Sons of Veterans Reserve. He formerly commanded the Pennsylvania Brigade and the 2nd Military District, SVR. Presently, he is attached to the National Staff of General Shriver as Inspector General. In 1967, Brother Stark retired after 31 years service with the U.S. Post Office Department. He then became associated with the brokerage firm, F.S. 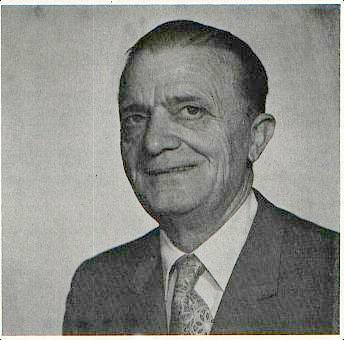 Mosley, Hallgarten and Estabrook, as an executive for seven years, retiring from this position on August 12, 1974. Brother Stark also holds membership in the Military Order of the Loyal Legion of the United States, Pennsylvania Commandery and many federal and Civil War organizations.